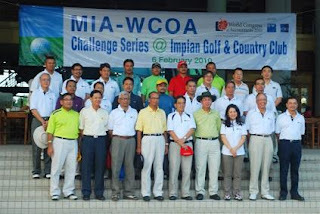 The Malaysian Institute of Accountants invited key stakeholders from the public sector who would be critical in the organisation of the World Congress of Accountants 2010 this November to a game of golf at Impian Golf and Country Club last Saturday. 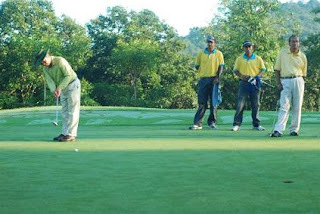 Dubbed the MIA-WCOA Challenge Series, the game was to create awareness among the key stakeholders and to reinforce their commitment is supporting MIA to ensure the world event would be a great success. 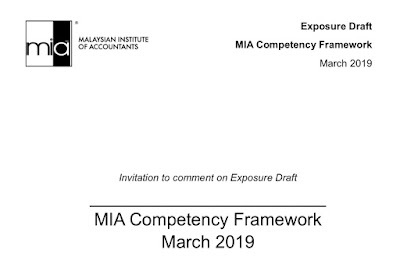 Among the guests were Tan Sri Amrin Buang, the Auditor-General, Dato Mohamad Salleh Mahmud, the Accountant-General, Dato Noharuddin Nordin, the CEO of Matrade and Datuk Abdul Samad Alias, the Chairman of Bank Pembangunan. 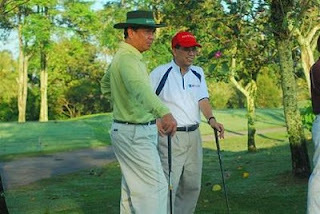 Playing host were the MIA President, Abdul Rahim Hamid and his Vice-President, Christina Foo. Everybody had a great time and enjoyed their game and went back with goodies from MIA.